Parents often ask me where the “hot jobs” are going to be by the time their kids finish college. The projections have stayed fairly consistent for several years. According to the Iowa College Aid Commission’s most recent report (2016) on the condition of higher education in Iowa, nearly 70 percent of all jobs in the state will require training or education beyond high school. The best paying and fastest growing jobs in Iowa continue to be in the areas of science, technology, engineering and math (STEM). Over 90 percent of STEM jobs will require education beyond high school, and more than 60 percent will require a bachelor’s degree or higher. Parents helping their students make good career decisions should be aware that STEM jobs in business and financial operations, computer and mathematical disciplines, and healthcare will see an annual growth that exceeds 60,000 openings. More important than simply knowing what professions promise to have openings for good-paying jobs is what parents can and should be doing to make sure their kids are ready for college after graduating from high school. In 2015, 67 percent of Iowa’s seniors took the ACT exam. Of that 67 percent, only 33 percent met all four of the core college benchmarks (English, math, reading and science) traditionally used to gauge whether or not a graduating high school senior is “college-ready.” In fact, 20 percent of the 2015 cohort did not meet any of the benchmarks. Disturbing? The Iowa assessments are required for all Iowa students in grades 3 through 8 and grade 11. Iowa assessments scores in math and reading are mapped to the ACT college readiness benchmarks. Annually meeting these scores serves as an indicator as to whether or not students are on target to be successful in college. According to data shared in the Iowa College Aid Commission’s report, only 2 of 5 Iowa students are currently on track to be successful. It’s true that these are only a couple of indicators used to predict success in college. However, to brush off the data as irrelevant can be a costly mistake. If parents want to make a difference, they should pay attention to the ACT recommendations and advise their kids take four rigorous years of coursework in each of the core subject areas. Will that advice be popular? Probably not! Will it increase the likelihood that your child is ready for college? Probably so! 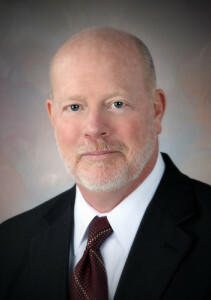 Dr. Chris Duree is Chancellor of Iowa Valley Community College District, which operates Ellsworth Community College in Iowa Falls, Marshalltown Community College, Iowa Valley Grinnell, and Iowa Valley Continuing Education.